Joint pain is a vague term describing any damage or illness affecting any of the tendons, bursae, or ligaments surrounding the joint causing pain.A joint is where two bones meet that allows the body parts connected by the bones to move, such as in the shoulder, elbow and knees. Damage to the joints may limit movement and lead to a lot of pain.Joint pain can range from slightly bothersome to incapacitating. Arthralgia literally means pain in a joint. If there is pain in several joints, it is called polyarthralgia. On its own, joint pain is not a disease, but rather, it may serve as a symptom for an underlying diseaseor injury. 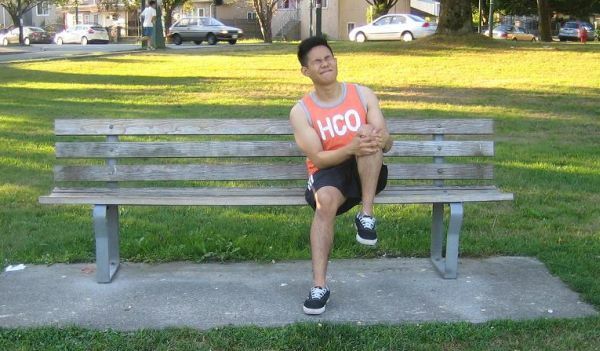 Knee pain is the most common joint pain complained by adults, followed by shoulder pain and hip pain. Painful joints become an increasing complaint as a person ages. Joint pain is usually treated and managed with physical therapy, medications or alternative treatments. When is Medical Care Sought Regarding Joint Pain? Joint pain is not usually a medical emergency and may not always required medical help. If one is unsure whether to seek medical help, the following symptoms may help serve as a guide to when an individual should seek medical care. If the following symptoms begin to show, opt for medical attention. How is First Aid Administered in Cases of Joint Pain? A visit to a physician may help determine the proper treatment necessary for managing joint pain with a diagnosis. However, if it is the first time an individual may be suffering from joint pain, the following hints are generally recommended to help reduce pain and other discomfort brought by arthralgia. Avoid using the joint that may aggravate the pain. For adults, take pain medications such as naproxen sodium aspirin, paracetamol or ibuprofen. Before giving any medications to children, seek doctor’s approval, however, aspirin is generally not recommended as they are associated to Reye’s syndrome. Muscle relaxants and particular antidepressants may also be prescribed by the doctor. Apply an ice compress to the painful joint for 15-20 minutes a number of times each day. Massage and stretching exercises are frequently advised. It is necessary to rest the affected joint as well. Disclaimer: This article cannot be substituted for medical diagnosis, advice or treatment. Enrol in First Aid Courses to learn more about how to treat joint pain and other body pains.